The Optics Valley is surrounded by mountains and lakes in the southeast of the city of Wuhan, Hubei province. 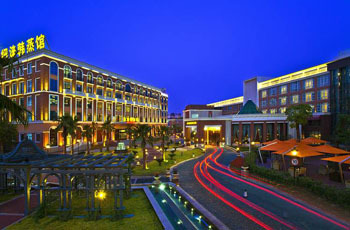 Owing to its unique landscape, it has attracted a group of star-rated hotels. Newcomers would be well-advised to enjoy the quiet atmosphere of one of the well-equipped five-star ones. Here are some recommendations. Landscaped gardens, lush greenery, and a stunning location on the southeast edge of Yanxi Lake set the scene at the Hilton Wuhan Optics Valley. 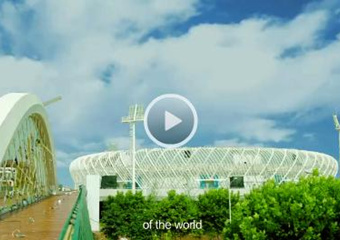 The hotel covers an area of 21 football fields, 60 percent of which is green. With three restaurants and bars, tennis and basketball courts, outdoor pools, children’s play areas, a BBQ square, and much more, the hotel offers amenities to keep the whole family entertained. What’s more, every room has a beautiful view over the swimming pools or the lake. 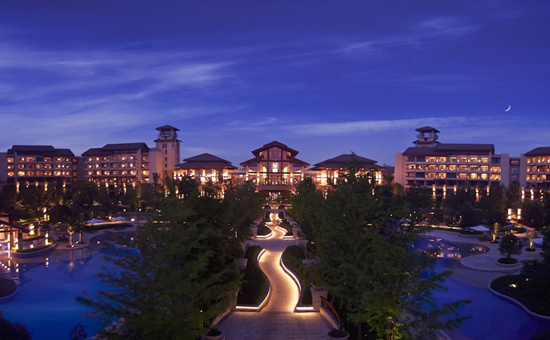 The Hyatt Regency Wuhan Optics Valley adjoins the picturesque East Lake and the Ma’anshan National Forest Park. With a fusion of different styles, such as luxury, elegant, simple and retro, it’s ideal for holiday-goers and businesspeople. The hotel offers 1,480-square-meter of meeting room and event venues, most of which use natural lighting and are equipped with advanced devices. There are various leisure and entertainment facilities, such as a spa, a 22-meter-long pool with a constant temperature all year round, and a fitness center with the latest equipment. Other highlights of the hotel include an open kitchen, a charcoal oven and its Italian restaurant Damiano. Located in the central business district of the Optics Valley, the Ramada Plaza Optics Valley enjoys convenient transportation. All the rooms are elegantly furnished and well-equipped and the lobby lounge offers all kinds of desserts, wine and beverages, including afternoon tea and coffee, making it ideal for business meetings and intimate get-togethers. Its revolving restaurant – the Window of Optics Valley -- is one of the most popular buffet restaurants in Wuhan. The column-free grand ballroom has a 350-square-meter pre-function area, which can host all kinds of events. In addition, there are various holiday package options. Looking towards the scenic East Lake, the elegantly decorated Optics Valley Kingdom Plaza Hotel Wuhan has an underground floor and 16 floors above the ground with a floorage of 49,000 square meters. The flowers in the lobby are changed regularly, an attention to detail that visitors enjoy upon arrival. The chefs in its Chinese restaurant prepare typical Hubei cuisine featuring a mix of traditional flavors and creative elements, while its buffet restaurant offers an extensive selection of dishes. Located near the New World Center and Hong Kong’s "K11" art shopping mall, the Joya Hotel offers every visitor distinctive services often provided only in the executive area of other star-rated hotels. The services include free breakfast, afternoon tea, healthy midnight snacks and free beverages at the mini bar, a washing and ironing service, a fitness center and automatic massage devices. The hotel is covered by a 50 mbps high-speed optical wireless network and equipped with Bluetooth speakers. Apple-TV is installed in some of the guest and meeting rooms, providing safe and convenient facilities for businesspeople. Located in Optics Valley Software Park, the Jade Boutique Hotel was the first hotel in Wuhan to perfectly combine modern technology and traditional Eastern-style art. 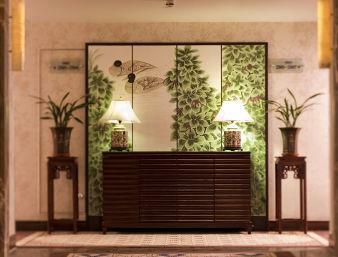 The rooms are elegantly decorated and appointed with customized solid wood furniture, Ming Dynasty-style desks and contemporary Chinese artwork. An Italian designer brought the new concept of garden-style private apartments to the design of the hotel. The designer attached importance to adding spiritual enjoyment into the hotel’s residential function. 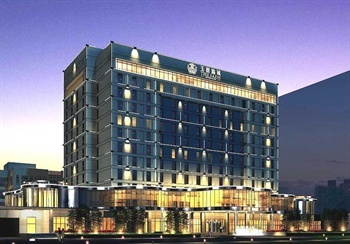 The Royal Grace Hotel Optics Valley Wuhan is located at the south end of Guanshan Avenue. 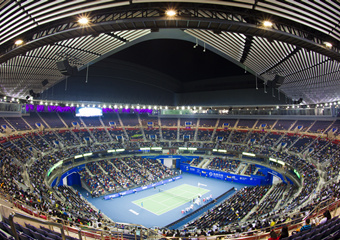 It has European-style decoration and is a good place to appreciate the royal garden-style landscape. The Chinese restaurant provides its customers with all kinds of typical Hubei cuisine while the Italian restaurant, traditional English bar and royal palace lounge offer a taste of fashion and classic culture. Copyright ©2016 Administrative Committee of Wuhan East Lake High-tech Development Zone. All rights reserved.